I've had some spring travels on several ends of the east coast. Inside of a week I was in Miami then walked to Maine. No, really I was in New Hampshire and walked across a bridge into Maine. I'm pretty sure that was the my first visit to a state via walking. My trips were business, but I made to sure design some pleasure into them. First up was my Miami visit. I was only in Miami briefly, spending most of the time in Boca Raton. 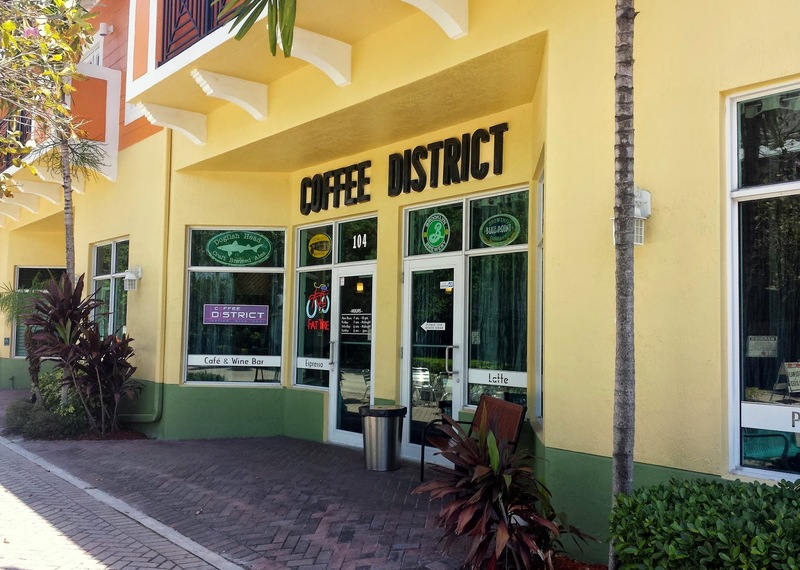 After searching out coffee places in and around Boca I settled on Coffee District in Delray Beach. It seemed like an intriguing place. Somewhat coffee bar, cafe, and craft beer bar. Combining coffee and beer? A+!!! I didn't have any of their beer offerings, but tried a cup and bought a bag. When I asked what kind of beans they were I got "Uhh.... It's Colombian Something." The cup I had was good, so I'm down for some Colombian Something! Here's the outside of the place. There's a small parking lot in the back. 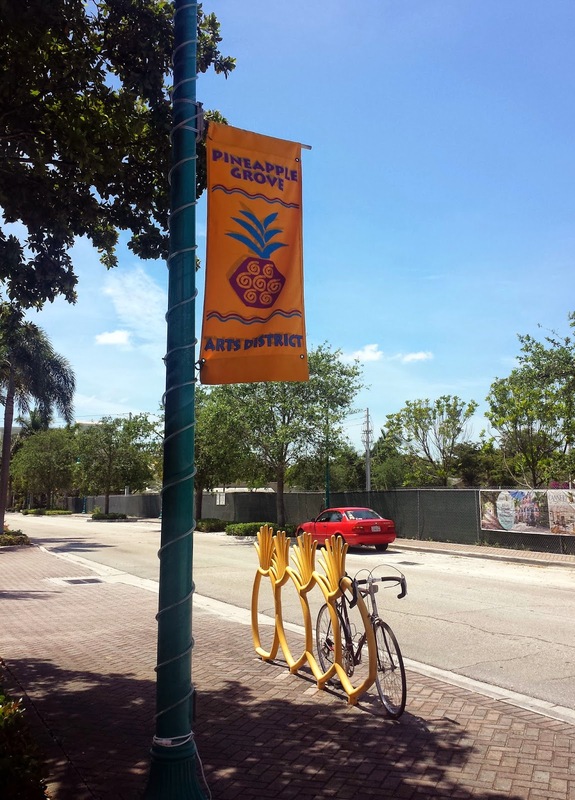 Coffee District is located in the Pineapple Grove Arts District, that may help some. Google Maps brought me right to their front door using their address, so you shouldn't have any problem. The coffee was decent at the location and despite the lackluster description of "Columbian Something" The gentleman at the counter described it as a medium roast. Looking at it and the taste puts it much closer to a dark roast. The bag was white paper, no writing whatsoever, which is why there's no picture. The coffee was had a pleasantly strong flavor. Definitely a coffee aftertaste, not overwhelming. A good cup if you enjoy that hearty coffee taste. If you're in the Delray Beach area it's worth a trip every so often. Maybe even to check out some of their beer!